In large bowl, combine all ingredients except zucchini and chocolate chips; beat 50 to 75 strokes with spoon until mix is moistened. Fold in zucchini and chocolate chips. Batter will be stiff. 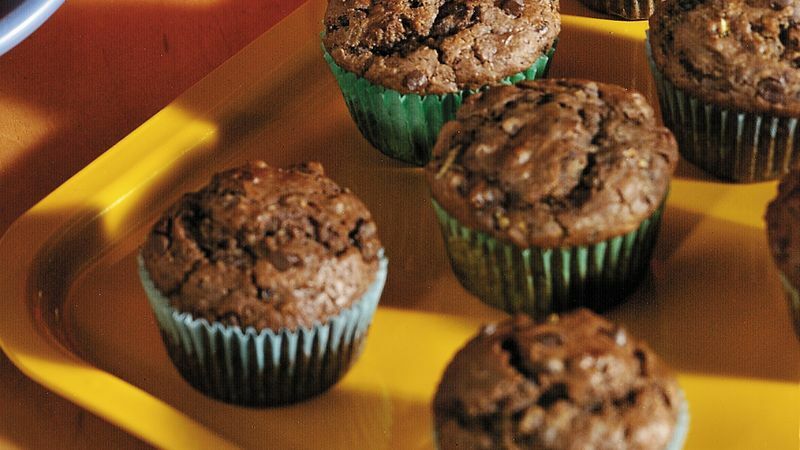 Divide batter evenly into paper-lined muffin cups. Muffin cups will be nearly full. Bake at 400°F. for 20 to 25 minutes or until toothpick inserted in center comes out clean. Cool in pan for 5 minutes. Remove from pan. Serve warm or cool. *One 14-oz. pkg. banana bread and muffin mix can be substituted for the date bread mix.